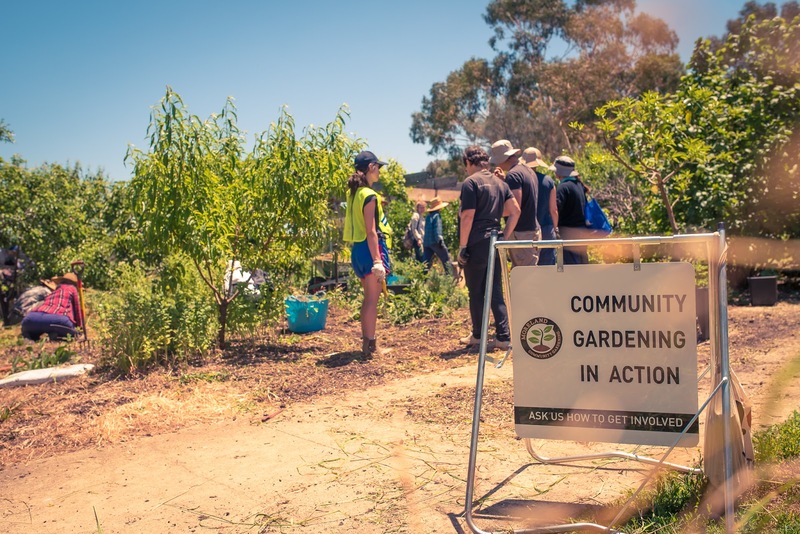 Dunstan Reserve/West Brunswick Food Forest is a collection of fruit trees established approximately 15 years ago as a community resource. The site and trees fell into disrepair some years back. This substantial grove of over 30 mature, food-producing trees in public open space is unique within Melbourne. In being fully open and accessible to everyone, it goes beyond the typical community garden model. 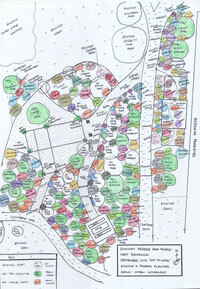 In July 2011, we initiated a project aimed at rejuvenating the food forest. As well as rehabilitating (and in some cases, replacing) trees, this project aims to undertake some landscaping, companion planting and repair or reinstatement of infrastructure (pergolas, paths etc.). We gratefully received a grant of $3000 from Moreland City Council towards this project and, after some challenges navigating our way through negotiating a lease, we started work in July 2012 and are well underway! Everyone is welcome to get involved with this space and the project, the space and the trees belong to our community. Sign up for updates and opportunities to get involved. If you'd like to get involved, contact us or sign up.